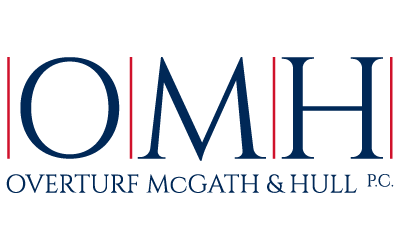 Overturf McGath & Hull, P.C. is a civil litigation and trial law firm specializing in civil lawsuits, administrative hearings, and corporate matters. Our lawyers are experienced and practiced in all legal counseling needs resulting in a robust assortment of qualified practitioners. The field of law is ever-changing, exciting and brimming with opportunities for ongoing education and growth. That's why our team approaches law with an open mind, honesty, reasoned analysis and the goal of making our clients feel understood and confident while strategically moving a case forward. Our office space, Huddart Terrace, is considered a historic Denver building and is on the City and County of Denver Landmark registry. Designed by architect John James Huddart in 1894, this building is a Denver historic treasure. The name honors its creator, and since 1999 has been the home of our vibrant and growing legal practice. Appropriately, Huddart, a prolific architect in his day, was particularly involved with public buildings and became well known as a courthouse architect, producing at least eight in Colorado as well as others in surrounding states. Though many of Huddart's structures have since been demolished, we proudly represent his legacy in our office building, Huddart Terrace.